Are you planning a trip in Korea during August and want to gather information about things to do in South Korea? We have great news for you! Korea has many summer festivals and events held in summer, especially in August! Also, each region holds different festivals that offer unique experiences for foreigners—try to determine what kind of festival you want to participate in. For example, are you a big fan of listening to classical music in an open area? 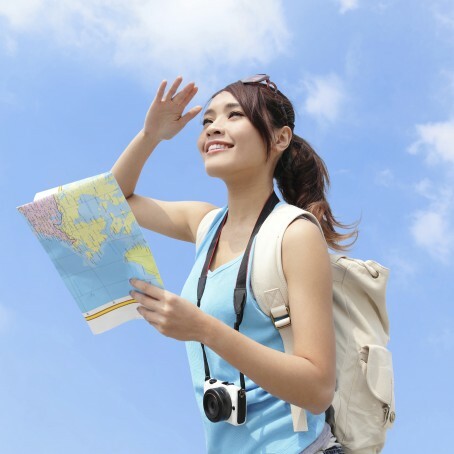 Are you looking for a good spot to get tanned while traveling in Korea? Or do you want to go wild and enjoy music while splashing water at other participants? August is a vacation month in Korea, so there will be many festivals and events held in each region—so it’s definitely worth a visit to check out local events. You don’t need to worry about what to do in August. We have the answers for you. Korean weather has four seasons throughout the year. The weather is extremely cold during the winter and extremely humid and hot in summer. The summer season starts from late June to August, and there will be heavy rainy days as well. The rainy season usually starts during the second or third week of June, but not to worry, because it doesn’t last long and most of the time it ends before late June. However, typhoons in Japan can bring heavy rain and wind in Korea; therefore, there will be occasional heavy rain after the rainy season. It’s recommended to check the weather forecast to make sure that you’re prepared for unexpected rain. In addition, due to global warming, the temperature continues rising. Therefore, it’s recommended to research more on your own (e.g. current temperature) to understand the weather in August in South Korea. The good news is that air conditioning is on at every store in South Korea (if not, at least a number of electronic fans). So when you feel like you can’t walk anymore because of the heat, just enter any store and you should feel better soon! 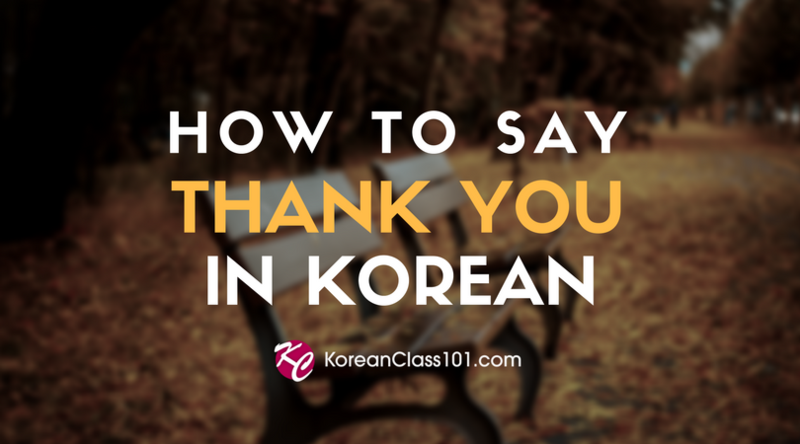 Learn the Korean words you need to talk about summer from KoreanClass101. You will notice that when you visit Korea in summer, Koreans carry an electronic handheld fan with them all the time. They’re not expensive at all and are easy to carry around. Also, Koreans prefer to have pale skin during the summer, so they’ll wear sunscreen and sun-blocking clothing, and carry an umbrella. Many foreigners are bewildered when they see that Koreans use umbrellas and wear extra layers to block out the UV. 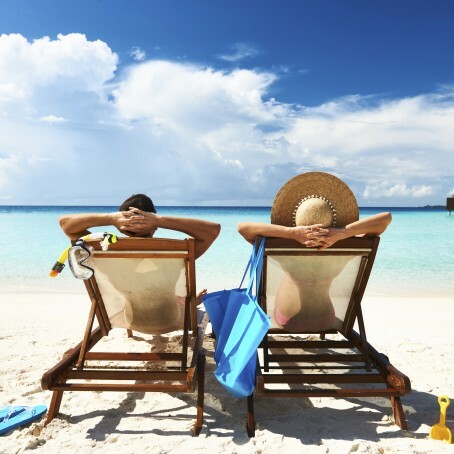 There’s another reason for this besides avoiding a tan—there are a lot of people who are allergic to the sun, resulting in skin rashes. Thus, it makes sense to cover themselves in order to avoid allergic reactions. August is the hottest time of the year in South Korea and due to global warming, the temperature is rising significantly every year. If you’re not so sure what you need to wear during August in South Korea, here’s some advice for you. In Korea, it’s easy to find UV-protection clothes since many Koreans value their skin and want to avoid getting tanned. You’ll see people wearing long slacks and long sleeves to reduce direct exposure as well. 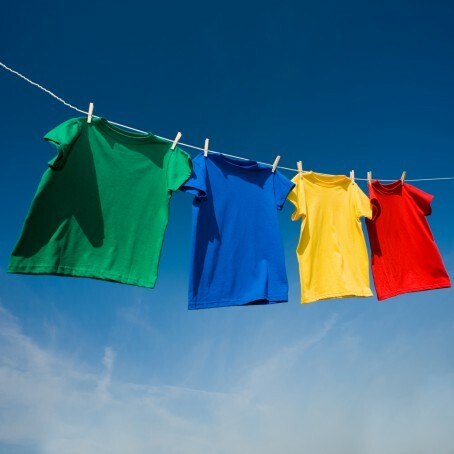 So if you sunburn easily, try to cover yourself up with some UV-protection clothes. Older people use umbrellas as well, and using an umbrella in summer is accepted in South Korea so don’t be afraid to try this yourself! You’ll definitely need to wear sunglasses to protect your eyes; you may want to wear a cap or a hat too. There are many stores in South Korea where you can purchase a fashionable hat or cap at a reasonable price, since they offer discount events frequently. Are you still not sure what to wear in South Korea? Typically, we wear flip-flops, shorts, T-shirts, tank tops, and much more! You’re free to wear anything you like. One thing that you need to be careful of in South Korea is that unlike other countries, you shouldn’t reveal too much chest. You’re free to wear anything in August, but if you’re planning to go to luxurious bars or restaurants, make sure to dress a bit more professional. There are many festivals held in August, and each region offers its unique experience— try to search in advance and plan your trip accordingly, including transportation. Be sure to check out a list of events and festivals held in Korea. Here a few summer festivals that you might find interesting. The Ulleungdo Squid Festival is held every year in August and it’s a fun event promoting its local produce: squid. The location is on a beautiful island called Ulleungdo, attracting hundreds and thousands of visitors every year. Festival events include catching squids with your bare hands, riding a boat around Ulleungdo island, and cooking delicious squid. Also, there will be a number of events for visitors such as fishing contests, catching mudfish with bare hands. If you don’t want to participate in these events, you can simply purchase the local produce and bring them to a restaurant. People will cook your squids for you and you can enjoy the local foods! Since the festival is on Ulleungdo Island, you’ll need to check the ferry schedule. From Pohang Ferry Terminal to Ulleungdo Island is from nine-forty in the morning and from nine o’clock if you depart from Mukho Ferry Terminal. Make sure to check the ferry schedule that departs from Ulleungdo, since the ferry service may close early in the afternoon. For more information about the schedule, you can check the ferry’s company website. Are you a big fan of famous film music? 제천국제음악영화제 (jecheongukjeeumakyeonghwaje) is held every year in August. The main program shows different music-themed films and documentaries from around the world, featuring various popular musicians from Korea and other countries. Here, you can enjoy the music in an open space. The theme of the festival is different every year, so we recommend you visit their official website (English version available) to check who’s playing on that day and to find additional events. Moreover, there’s much local dining, sightseeing, and accommodation available nearby, to enhance your experience of the JIMFF festival! The website is available in English and you can check out their past events, such as the 2017 festival. If you’re into history or simply want to learn Korean history, 통영한산대첩축제 (tongyeonghansandaecheopchukje) is a good festival to go to. You’ll learn more about “The Great Battle of Hansan” which is one of the most famous sea battles in history. Further, you’ll be able to see many historic events during this festival, such as events dedicated to Yi Sun-sin and a reenactment of the Turtle Ship. You can even check out the statue of Yi Sun-sin in 광화문 광장 (“Gwanghwamum Plaza”) in Seoul. There are many more festivals in August, so do check them out online! The first place that comes to mind when thinking about famous beaches in South Korea is Busan. Busan is located on the Southeastern tip of the Korean peninsula and is the second-most-populated city after Seoul. Many visitors and Koreans go to Busan for their summer vacations. Something to keep in mind is that some beaches, especially in Busan, are going to be extremely crowded during the peak season, so try to avoid these areas or find less popular beaches. Alternatively, you can visit during the weekdays when everyone is at work. There are many nice beaches in South Korea besides those in Busan, as well. If you love getting tanned, you can definitely enjoy the sun at any beach in South Korea. (“To get tanned” in Korean is 선탠 하다 [seontaen hada].) Also, there will be many beach umbrellas and a table for you to maximize your fun experience at the beach—and you can use them for free. In some countries, women take off the top part of their bikini at the beach to enjoy sun tanning—but in Korea, it’s considered extremely inappropriate. Therefore, try not to take off your bikini while tanning at a beach. What kind of bikini you wear is completely up to you. August is the hottest part of the year in South Korea, so wearing revealing clothes such as short pants, tank tops, bikinis, and so on is socially accepted. Many people go to the beach over the weekend to enjoy their summer vacation. However, if you visit a famous beach area—for example, in Busan—you may not enjoy the experience because of the crowds. If you want to enjoy the quiet time and experience how it truly feels to be at a beach in South Korea, it’s strongly recommended to avoid peak time and to go to less popular beaches. There are a lot of beaches apart from those in Busan, so do your research and try to visit those too. Do you know the essential summer vocabulary in Korean? Learn today for free! The best time for hiking is spring and fall in South Korea. In spring, you’ll enjoy the beautiful mountains covered with cherry blossoms and other spring flowers; in fall, you’ll enjoy colorful foliage. 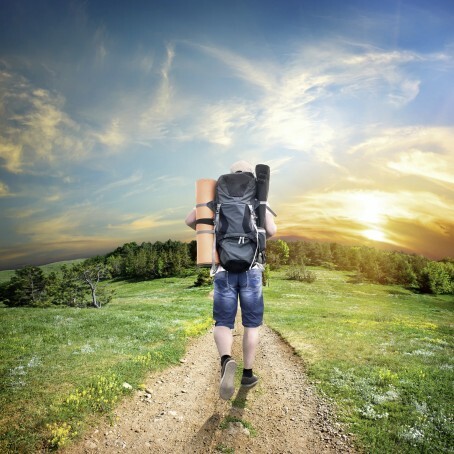 Hiking in summer may not be a good idea due to the humidity, the heat, and some occasional unexpected rainy days. If you don’t mind that, you can easily find a mountain nearby and enjoy hiking and looking at beautiful scenes in South Korea. The reason is that South Korea is a relatively small country, but roughly 70% of the land is mountains. This means that you can easily find a mountain to climb even in the busy city of Seoul! Since climbing a mountain in the summer isn’t a popular leisure for many Koreans, you may be able to enjoy the hiking experience more. Koreans are serious about hiking attire and the majority of them uses trekking poles, even on trails suitable for beginners. It’s not appropriate for women to wear something too revealing. For example, it’s okay to wear a tanktop or outdoor sports bra and tight leggings when hiking in America, but it’s not appropriate in Korea. So respect Korean culture and dress appropriately. If you’re not sure what to wear in August, try to search on Google Images to get some ideas. 김밥 (Kimbap) is the most popular hiking snack in Korea, therefore you’ll see that many stores are selling pre-made kimbap for hikers near the trail entrance. 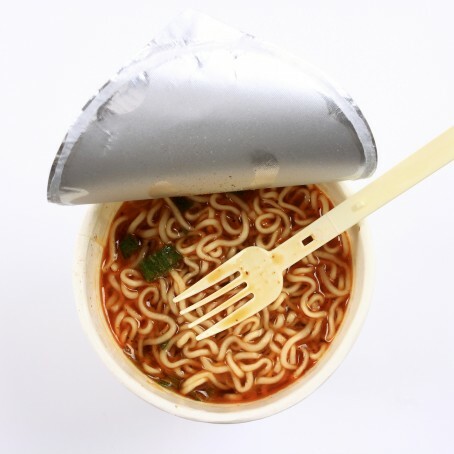 Also, depending on the mountain, sometimes when you reach a viewpoint, you’ll see a person selling 컵누들 (keomnudeul) or “instant cup noodle,” 김밥 (gimbap), and some other Korean snacks such as 아이스크림 (aiseukeurim) which is “ice-cream.” Add extra fun by buying Korean snacks and enjoy them while looking at beautiful scenery. Unfortunately, you won’t be able to use your drone when hiking in South Korea. Many places prohibit using drones for safety reasons and you’ll be fined if you get caught using one. If you want to know if a place you’re visiting prohibits drone use, look out for signs that say 드론비행금지구역 (deuronbihaenggeumjiguyeok) or “drones prohibited area.” Alternatively, look out for signs with an image of a drone crossed out. You probably know a few famous places such as 서울 (Seoul), 부산 (Busan), and 제주 (Jeju); they’re definitely great places for sightseeing. Apart from these famous places, there are other places where you can enjoy blending in with the locals. For example, have you heard of 대구 (Daegu) , 울산 (Ulsan), or 포항 (Pohang)? These places have a different vibe than Seoul, Busan, and Jeju. It’s worth the visit. 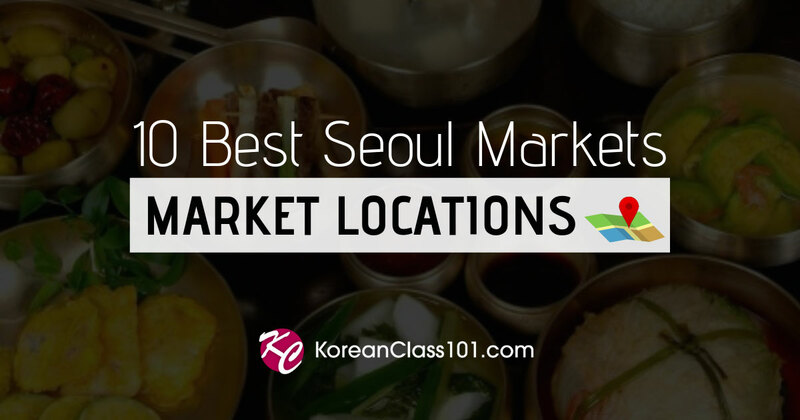 There are many great travel spots for you to explore in South Korea, so why not try to learn the top 10 travel destinations in Korea? 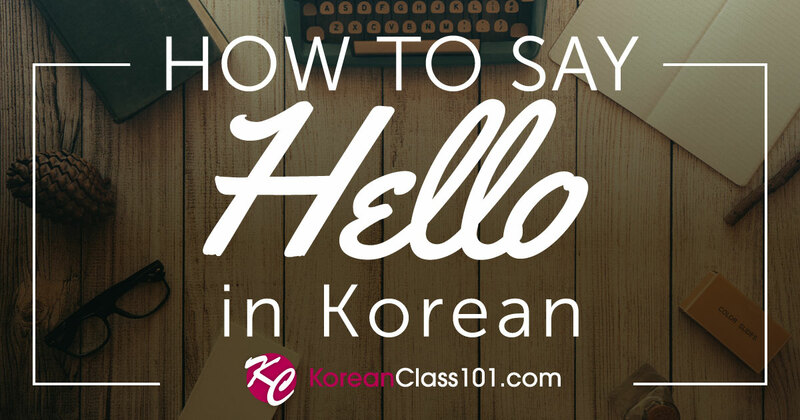 KoreanClass101 has free study materials to help you learn Korean at your own pace. If you register to KoreanClass101, you’ll get the latest free resources to help you learn the fast and fun way. We have free vocab lessons and free PDF cheat sheets. Enjoy your trip to Korea! This is a Pretty Big Deal. Why? New Free Korean Lessons, 31% OFF and more!